I still am working on my article about the President’s terrible week which seems to get more fascinating by the hour. Maybe after a long day working in the house tomorrow, ripping out nasty old carpet. laying some flooring in closets, and doing a bunch of other stuff I might try to finish it tomorrow, which is actually today because I am still awake and it is after midnight. So what the hell, tonight I am reposting a section of my unpublished Civil War book A Great War in a Revolutionary Age of Change. This section continues one that I posted two or three weeks ago dealing with U.S. Army artillery. 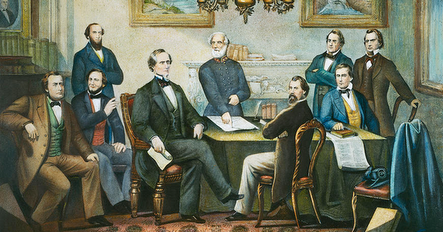 This particular section deals with the period between 1846 and the summer of 1864. It is as non-partisan as you can get, but I hate to admit that the thought of M-1857 12 Pound smoothbore “Napoleons” firing at massed Confederate infantry in the open as they did during Pickett’s Charge does warm my heart. Oh my God it almost gives me a woody, but that isn’t exactly very Christian of me, but as I readily admit I am no saint and pretty much a Mendoza Line Christian. At least I can admit it. So have a great day and please get some sleep. At the battery level Union artillery was organized by type into six-gun batteries. Confederate artillery units were organized into four or six-gun batteries in which the guns were often of mixed type. 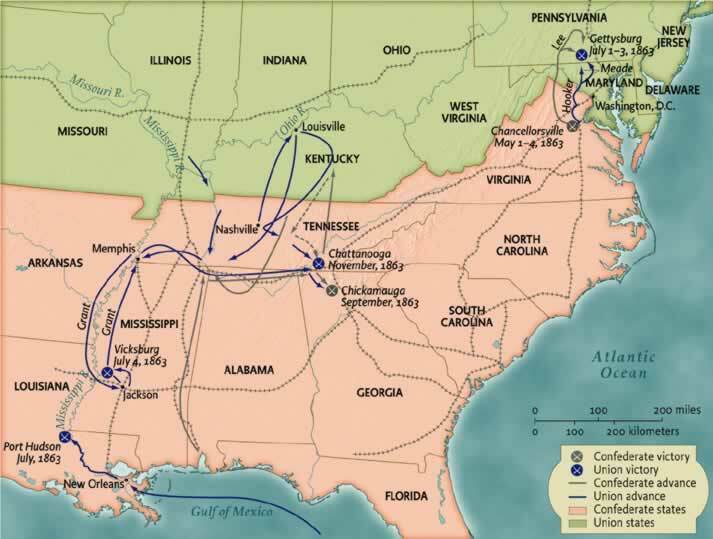 This often led to supply problems for Confederate gunners and inconsistent rates of fire and or range. Confederate gunners also had to deal with poor quality power and explosive shells, a condition that only worsened as the war continued. 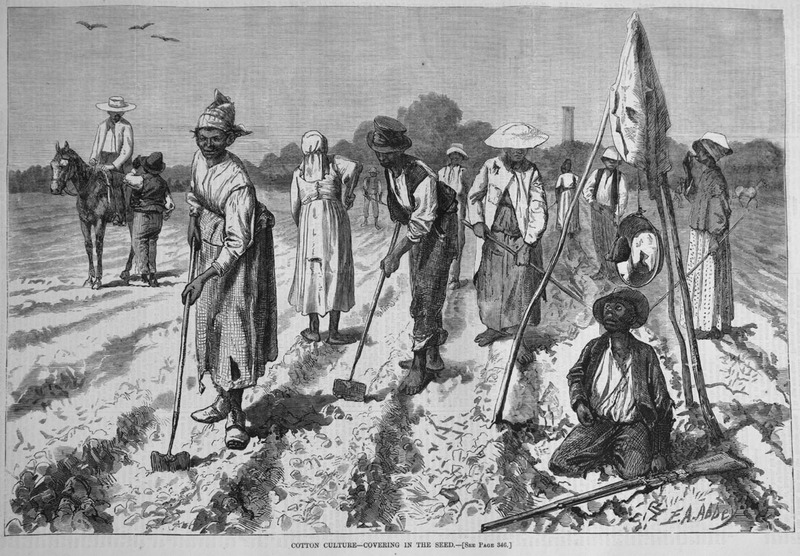 The well-trained Union gunners had better quality ammunition and gunpowder as well as what seemed to the Confederates to have limitless ammunition. Each gun was manned by a seven-man crew and transported by a team of horses that towed a limber, which transported the cannon and a caisson, which transported the ammunition. The caissons would normally be stocked with four chests of ammunition. For a Napoleon “a standard chest consisted of twelve shot, twelve spherical case, four shells, and four canister rounds for a total of 112 rounds of long range ammunition.”  In addition to the ammunition carried in the caissons of each gun, more ammunition was carried in the corps and division supply trains. As the war progressed the both the Union and Confederate armies reorganized their field artillery. In the North this was a particular problem due to the lack of flexibility and politics in the Army which were prejudiced against large artillery formations, despite the great numbers of batteries and artillerymen now in the army. However the Federal army had good artillerymen. The Regular Army batteries were the foundation of the artillery service. Unlike the infantry units which were overwhelmingly composed of volunteer soldiers, the artillerymen were regulars, many who had served for years in the ante-bellum army. Since there were few billets for senior artillerymen many artillery officers volunteered or were selected to serve in the infantry to get promoted or to take advantage of their experience and seniority. One of those chose was John Reynolds who promote to Lieutenant Colonel and given orders to form an infantry regiment. 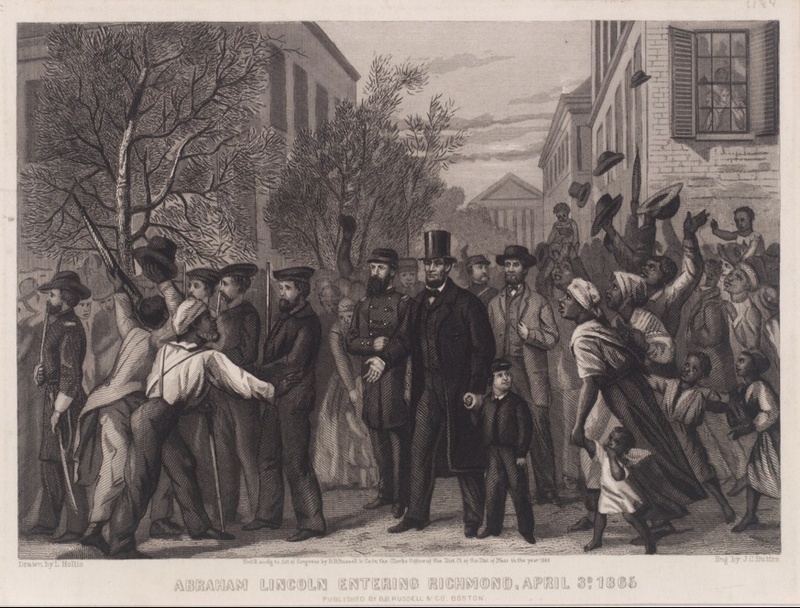 Before he could get started in that work he was made a Brigadier General of Volunteers. He wrote: “I would, of course, have preferred the Artillery arm of service, but could not refuse the promotion offered me under any circumstance, much less at this time, when the Government has a right to my services in any capacity.”  Other artillerymen who rose to prominence outside of the branch during the war included William Tecumseh Sherman, George Meade, John Gibbon, George Thomas, Ambrose Burnside, and Abner Doubleday, and Confederates Stonewall Jackson, Braxton Bragg, Jubal Early, and A.P. Hill. However, Barry and Hunt were opposed by War Department insiders. 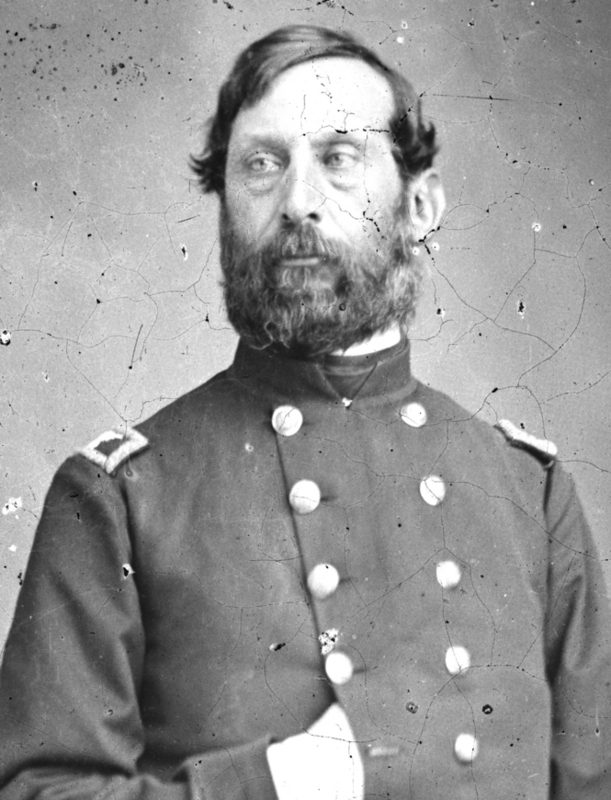 General Lorenzo Thomas, the Adjutant General used law and regulation to prevent promotions in the artillery beyond Captain and as to General Officers as well. Thomas insisted that the battery was equivalent of an infantry company or cavalry troop. 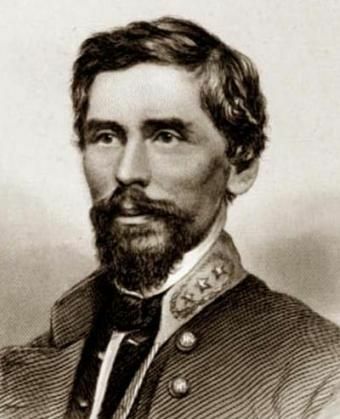 He noted “that laws long in force stipulated that only one general officer could be appointed per each for each forty infantry companies or cavalry troops.”  He applied this logic to the artillery as well, which meant in the case of the Army of the Potomac which had over sixty batteries that only one general could be appointed. The result could be seen in the organization of the Army of the Potomac at Gettysburg, the artillery component, “which included approximately 8,000 men with 372 pieces – almost the manpower (and certainly the firepower) of a complete army corps. It included only two general officers… then there were three colonels and no other high ranks at all. One army corps had its guns commanded by a lieutenant.”  Over time the situation would improve and the artillery given some autonomy within the Army, at Gettysburg Meade gave Hunt command authority to employ the artillery as he deemed necessary, even over the objections of the corps commanders. But change did come, however slowly and with great resistance from the War Department bureaucracy, and the artillery service “did succeed in winning some measure of recognition for its independent status and tactics. After Gettysburg the army’s artillery commander was accept as having overriding authority in gunnery matters, with the infantry relegated to a merely consulting role, although in practice the change brought little improvement.”  The beginning of this came in August 1863 when George Meade promulgated an order that “defined Hunt’s authority in matters of control of the artillery in the Army of the Potomac. The order “definitely stated that Hunt was empowered to supervise and inspect every battery in the army, and in battle to employ them “under the supervision of the major-general commanding.”  The order was important but still did not go far enough to remedy the problem of a lack of field officers in the artillery, a problem that was not completely remedied during the war although Ulysses Grant did allow a limited number of promotions to provide more field grade officers in the artillery service of the Army of the Potomac and other armies under his command in the Eastern Theater. Likewise some additional billets were created in the brigades as brigade commanders “were authorized a staff consisting of an adjutant, quartermaster, commissary officer, ordnance officer (an artillery officer on ordnance duty), medical officer, and artillery inspector, with each staff officer having one or more assistants…” However the staff officers had to be detailed from the batteries, thereby reducing the number of officers present with those units” However, in most cases the brigade commanders remained Captains or First Lieutenants. In the Western theater there was a trend toward the centralization of the artillery in the various armies depending on the commander and the terrain and the size of the operation. 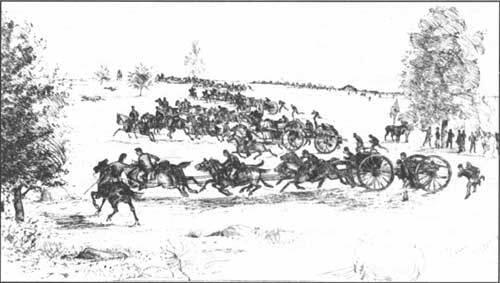 As the war progressed in the west commanders began to group their artillery under brigades, divisions, and finally under the various army corps. 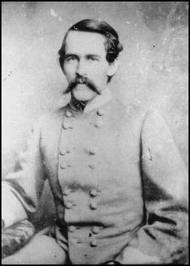 At Shiloh Grant concentrated about 50 guns “in the notorious “Hornet’s Nest,” perhaps saving him from defeat.”  Artillery tactics shifted away from the offense to the defense and even during offensive operations western commanders were quick to entrench both their infantry and artillery. During the Atlanta campaign and march to the sea William Tecumseh Sherman successfully reduced his artillery complement first to 2 guns per 1,000 men then to 1 per 1,000. This was in large part because he was conducting a campaign of maneuver and was far from his logistics base. 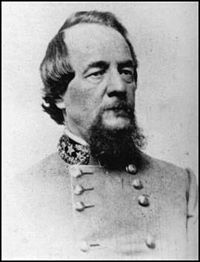 Since supplies had to be carried with the army itself with a heavy reliance on forage, Sherman recognized that his army had to be trimmed down. 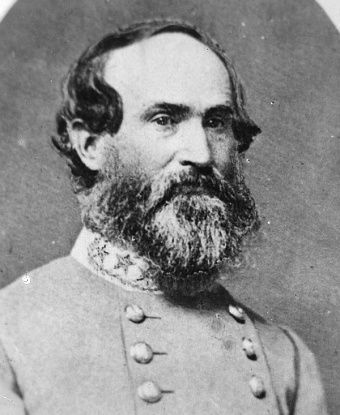 Likewise, “the terrain and concept of operations must have been very important in his decision.” His “rapid, almost unopposed raid through Georgia gave no opportunities for the massing of large batteries in grand manner.”  During the campaign Sherman marched without a siege train and reinforced his cavalry division with light artillery batteries. Ibid. Longacre The Man Behind the Guns: A Military Biography of General Henry J. 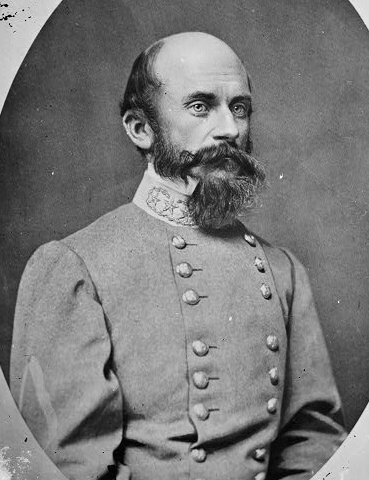 Hunt, Chief of Artillery, Army of the Potomac pp.53-54. But change did come, however slowly and with great resistance from the War Department bureaucracy, and the artillery service “did succeed in winning some measure of recognition for its independent status and tactics. After Gettysburg the army’s artillery commander was accept as having overriding authority in gunnery matters, with the infantry relegated to a merely consulting role, although in practice the change brought little improvement.”  The beginning of this came in August 1863 when George Meade promulgated an order that “defined Hunt’s authority in matters of control of the artillery in the Army of the Potomac. The order “definitely stated that Hunt was empowered to supervise and inspect every battery in the army, and in battle to employ them “under the supervision of the major-general commanding.”  The order was important but still did not go far enough to remedy the problem of a lack of field officers in the artillery, a problem that was not completely remedied during the war although Ulysses Grant did allow a limited number of promotions to provide more field grade officers in the artillery service of the Army of the Potomac and other armies under his command in the Eastern Theater. Likewise some additional billets were created in the brigades as brigade commanders “were authorized a staff consisting of an adjutant, quartermaster, commissary officer, ordnance officer (an artillery officer on ordnance duty), medical officer, and artillery inspector, with each staff officer having one or more assistants…” However the staff officers had to be detailed from the batteries, thereby reducing the number of officers present with those units”  However, in most cases the brigade commanders remained Captains or First Lieutenants.